If there was one bridge in “Bridge City” that has really captured our hearts, it’s the green spires of Cathedral Park. Nestled underneath the massive overpass are the stunning cathedral arches which have become an iconic wedding venue for Portland bride and grooms. Friends and family gather around as the sun filters through the nearby trees to paint a picture of profound peace and beauty. 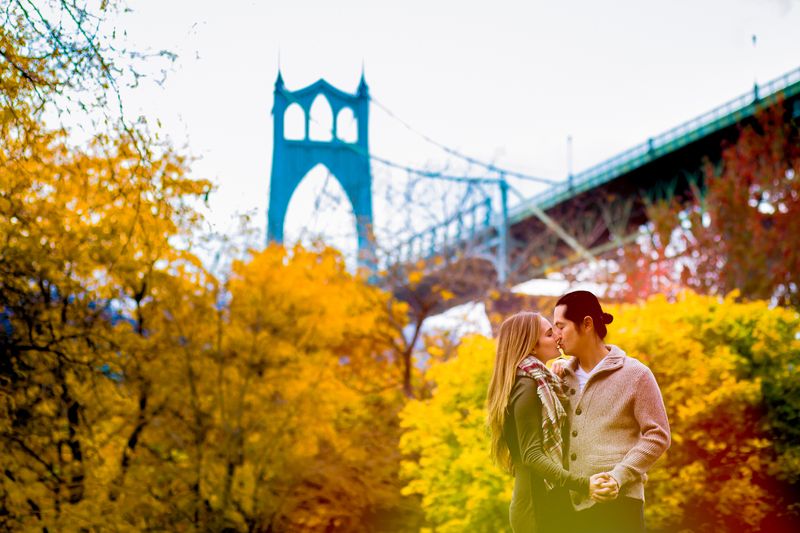 The options for wedding photography abound at the nearby Willamette River beach and waterfront pier. 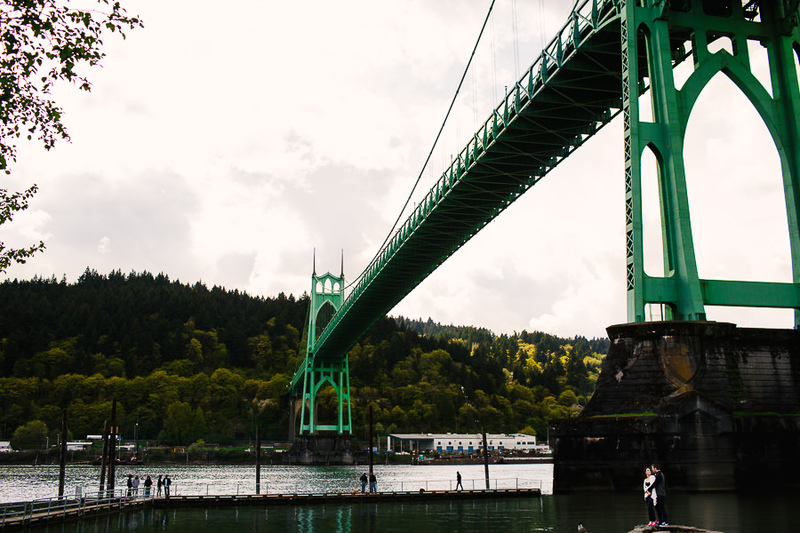 Cathedral Park is a Portland photographers dream location, finding that perfect balance of natural beauty, industrial design and iconic landmarks. Our session took place on literally a 1 hour break in the rain at one of Portland’s iconic backdrops, the St. John’s Bridge. We totally enjoyed spending the afternoon photographing with John and Gary, talking about our bay area ties, our favorite Portland restaurants and of course, their upcoming wedding at Holocene (which we are super excited about). Can’t wait to see you guys again in a few months, cheers!